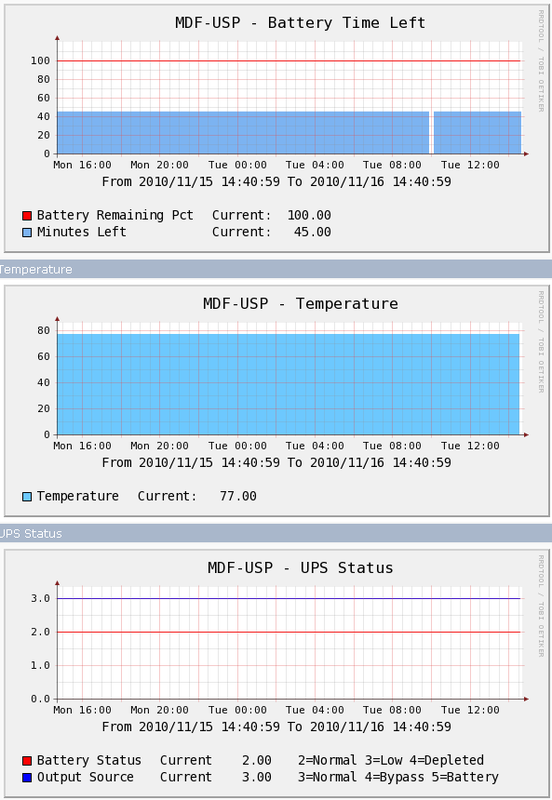 This will graph most of the important bits about your tripplite UPS via the optional SNMPWEBCARD. I put thresholds in for temperature and output source. Not pretty, but it works...much like everything I make. This isn’t a Mikrotik post. Also, I used a CDEF to convert to Fahrenheit.